uPlay M785 is the first white label first All-in-one Android 4.2 tablets made by uPlay, it is a 8″ tablet with IPS screen and bluetooth, 3G unlocked phone, GPS, and radio. It is a 8 inch tablet with a 180 degree viewing angle IPS capacitive screen, powered by ARM A7 Quad-Core CPU with built-in 8 core PowerVR SGX GPU, runs the latest Google Android 4.2 Jelly Bean. You can also use it as a phone (unlocked 3G phone), GPS, and FM radio – it’s basically iPad Mini running Android with a half price, plus phone, GPS, and FM radio. Other key features include 0.3 MP front and 5MP rear camera (2MP optional) with auto focus, OTG port to connect keyboard, mouse, and hard drive, bluetooth, and 4,000 mAh battery. Categories: 8" tablets, Custom built tablets, Phablets, Tablets, Tablets with bluetooth, Tablets with GPS, uPlay tablets, woPad tablets. Tags: 8" tablets, Android 4.2 Jelly Bean tablets, Bluetooth, Custom built tablets, GPS, IPS screen, OEM tablets, Phablets, Quad-core, Radio, uPlay Table M785, uPlay tablets, white label tablets, woPad M785, woPad tablets. In stock . The shipping cost is $14.95 no matter where you are. uPlay M785 is the first white label first All-in-one Android 4 .2 tablets made by uPlay, it is a 8″ tablet with IPS screen and bluetooth , 3G unlocked phone , GPS, and radio. It is a 8 inch tablet with a 180 degree viewing angle IPS capacitive screen , powered by ARM A7 Quad-Core CPU with built-in 8 core PowerVR SGX GPU, runs the latest Google Android 4 .2 Jelly Bean. You can also use it as a phone (unlocked 3G phone ), GPS, and FM radio – it’s basically iPad Mini running Android with a half price, plus phone, GPS, and FM radio. Other key features include 0.3 MP front and 5MP rear camera (2MP optional) with auto focus, OTG port to connect keyboard , mouse, and hard drive, bluetooth , and 4,000 mAh battery. uPlay M785 is one of the first All-in-one Android 4 .2 tablets made by uPlay. Android 4.2 Jelly Bean is the latest Android operating system released by Google. Google used to make a catchup game with Apple on its early releases, but Android 4.1 is pretty much par with Apple iOS. The all new designed Google Android 4.1 has kept many good features from its previous release, and made the GUI with a better layout, more intuitive, more smooth transition, and virtualized all keys. You can even merge the file folder like in iOS, switch between multi-tasks, plus all new widget tools. Android 4.2 is an upgraded version and the latest version that has been used in Google Nexus 7 and Nexus 10. MT 8389 is the latest quad-core mobile application processor from Mediatek that implements the ARM Cortex-A7 CPU architecture and PowerVR SGX544 MP2 GPU. Mediatek MT 8389 is the first two quad-core CPUs seen on Chinese made tablet . Its CPU is based on mainstream ARM Cortex-A7, the third generation of ARM Cortex CPU. The GPU is eight-core PowerVR SGX544. Mediatek MT 8389 is made with the latest 28nm process technology, which is about 2X faster and consumes about 1/2 power than other CPUs made by 40/45nm process technology. The performance of this quad-core CPU is actually faster than the CPU the quad-core CPU used in Apple iPad 4. In ARM Cortex-A7, ARM transforms its design principle from improving the system performance by increasing frequency, to MPCore architecture that could bring improvements in performance, and at the same time, optimize the high power consumption and heat caused by high frequency of Cortex-A9. Comparing with Cortex A8, ARM Cortex-A7 only consumes 20% of power, but offer 50% improvement on performance. So far, AllWinner A31 is the first Cortex-A7 based CPU, even nVidia and Samsung haven’t licensed Cortex A7 in their CPU yet. PowerVR SGX Series5XT Graphics Processing Unit (GPU) IP core family is a series of highly efficient graphics acceleration IP cores that meets the multimedia requirements of a wide range of next generation consumer, communications and computing applications. PowerVR SGX Series5XT architecture is fully scalabel for a wide range of area and performance requirements, enabling it to target a wide range of markets from low cost feature-rich mobile multimedia products to very high performance consoles and computing devices. uPlay M785 is also a 3G unlocked phone . Once you plug in your SIM card, you can use it to make phone calls. It support all frequencies, so you can use it with the GSM network worldwide. uPlay M785 has built-in GPS, which means you can use it as a standalone portable GPS device. You can either use Google Map (pre-installed), or download a GPS apps from Google Play . uPlay M785 can receive FM signals. It is a FM radio. You don’t need Internet connection to listen FM radio. The screen used in uPlay M785 is a 8” (it is actually 7.85″) high resolution 1024×768 IPS screen . The view angle is almost 180 degree. Colors get a boost, too, with color saturation that’s 44 percent greater than normal screen. So with uPlay Customized Tablet (white label) M785, the games you play, the words you read, the images you see, and the apps you love look and feel incredibly vivid and lifelike. For big-time entertainment, uPlay Customized Tablet (white label) M785 lets you watch widescreen HD video in all its glory — without letterboxing. uPlay Customized Tablet (white label) M785 has 1GB DDR3 RAM built-in– It has 64 bit two channels. The speed is 50% faster than single channel DDR3 RAM. This allows for numerous tasks and apps to be run at the same time with no loss in speed or responsiveness in the tablet. Furthermore this allows data to be processed faster, meaning 3D games run better than ever! 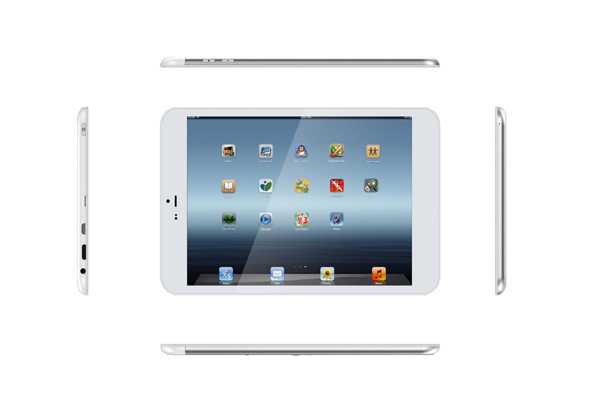 Perfect to match the Retina display . Google Market is pre-installed on M785. You can access and download more than 400,000 apps directly from your tablet. The latest version (v11.2) of FLASH player is pre-installed on M785. You can watch YouTube and other flash-based Internet video sites directly in the browser. 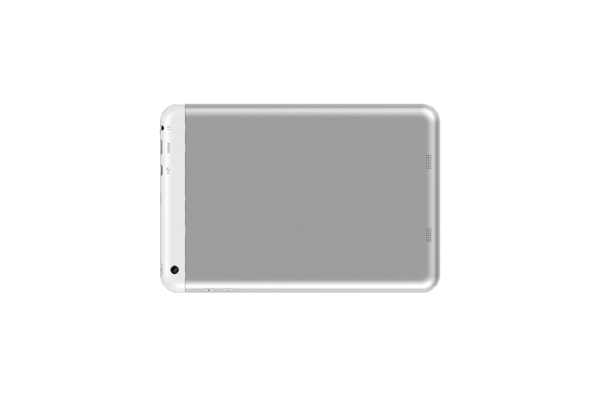 uPlay Customized Tablet (white label) M785 has two built-in cameras. The rear camera is 5MP – now people won’t laugh you when you use your tablet to take pictures. The front camera is 0.3MP. Supports 4K HD, and all other HD formats. Enclosure – The case for the uPlay Customized Tablet (white label) M785 has been uniquely designed, makes it a pleasure to be hold in your hands. The body is ultra-thin metal case , only 8.9mm. AXP 221 smart power management chip dynamically adjust the power, plus the huge 4,000 mAh battery – you can enjoy 8 hours non-stop web surfing time and super long the standby time. uPlay Customized Tablet (white label) M785 supports WiFi standard 802.1 b/g/n, and also has built-in 3G. 3 axis gravity sensor, super sensitive. Have a question about this tablet? ask your question here. You will get answer by email.